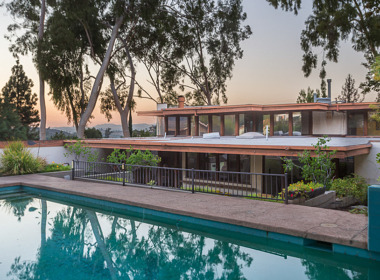 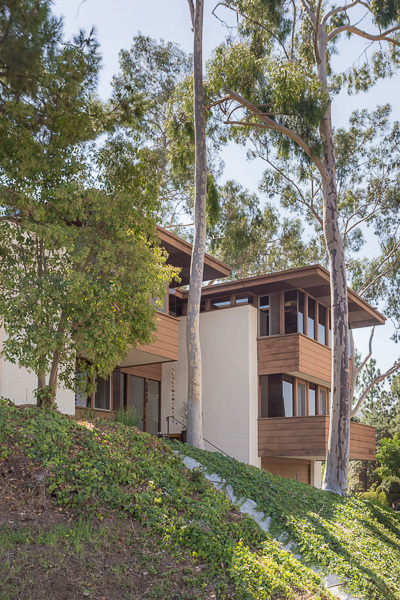 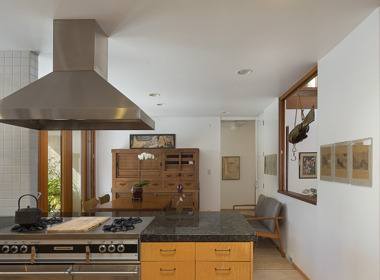 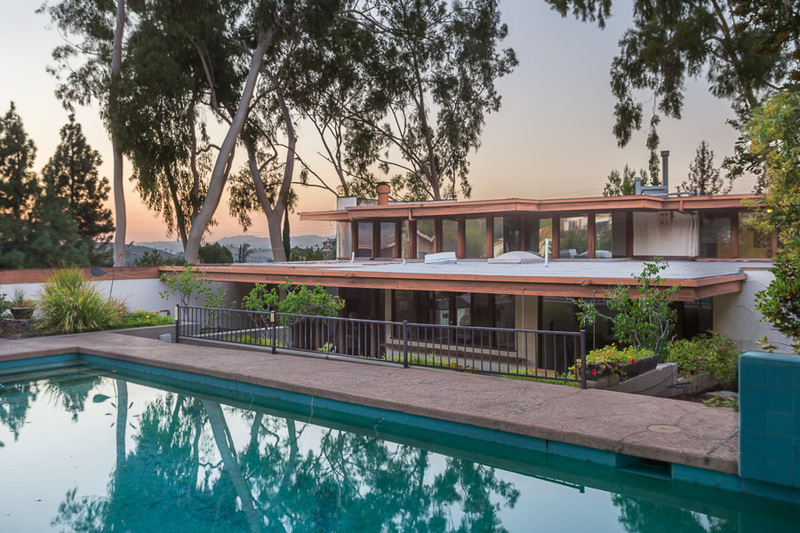 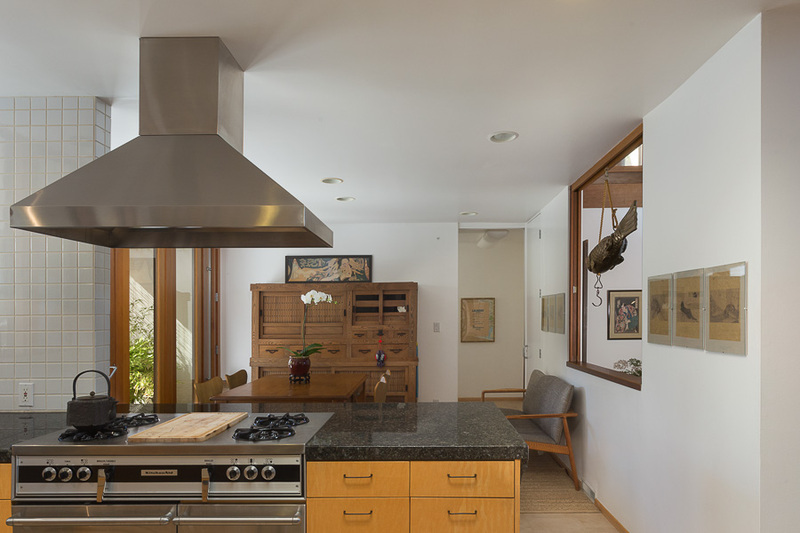 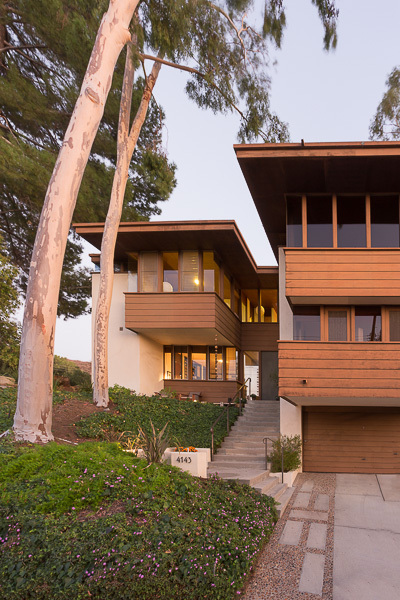 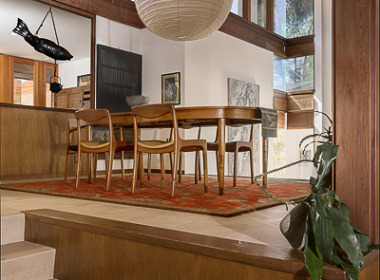 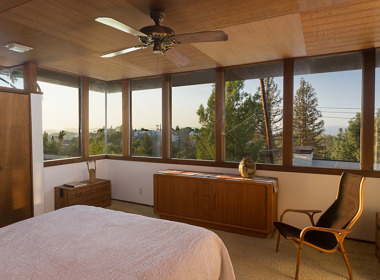 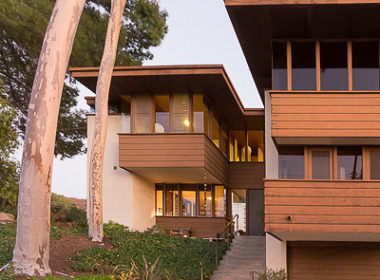 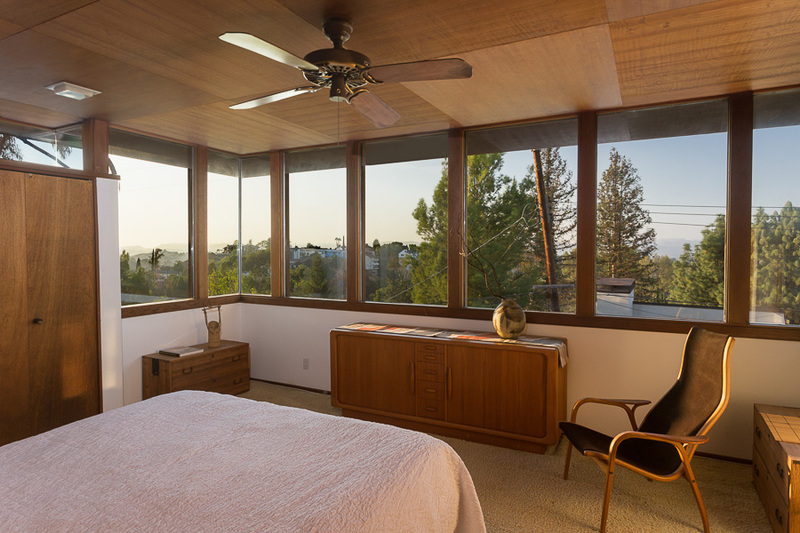 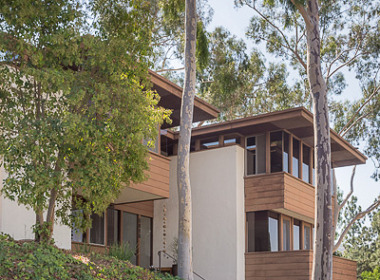 The Spanner Residence, 1968 – Crosby Doe Associates, Inc.
A north-facing hillside presents a special challenge. 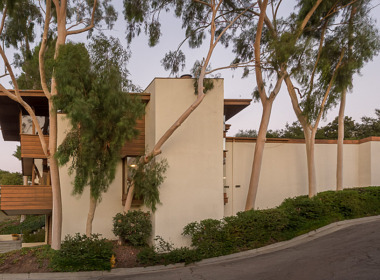 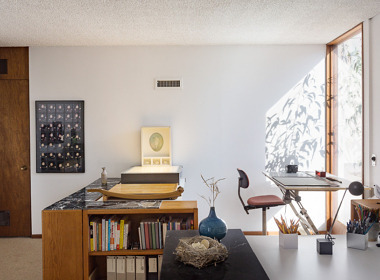 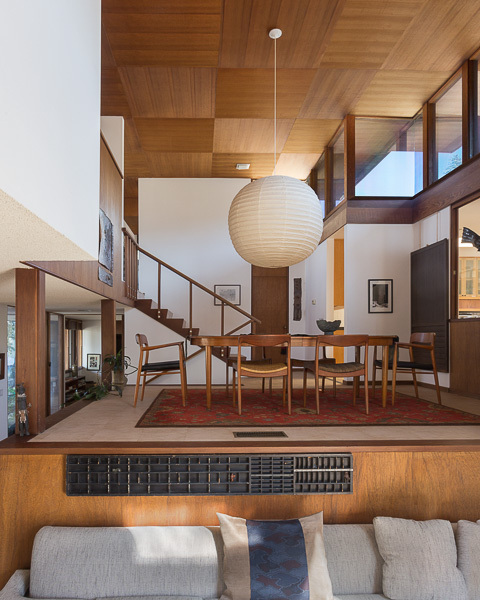 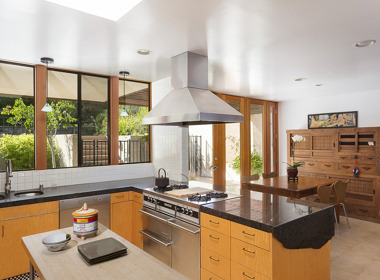 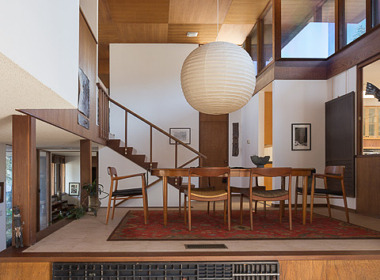 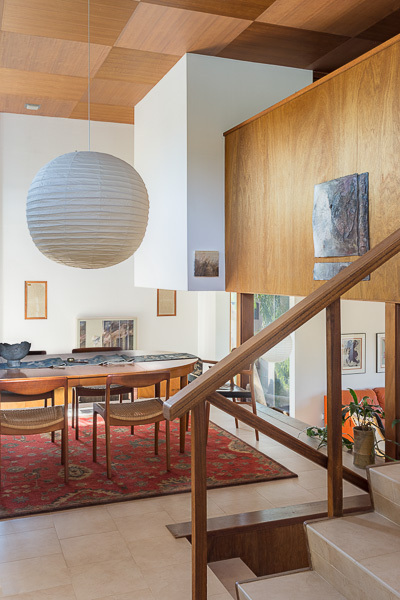 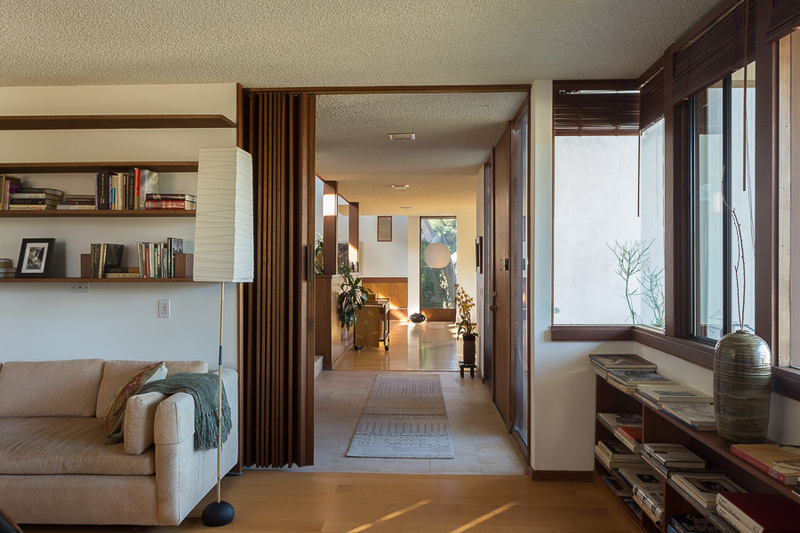 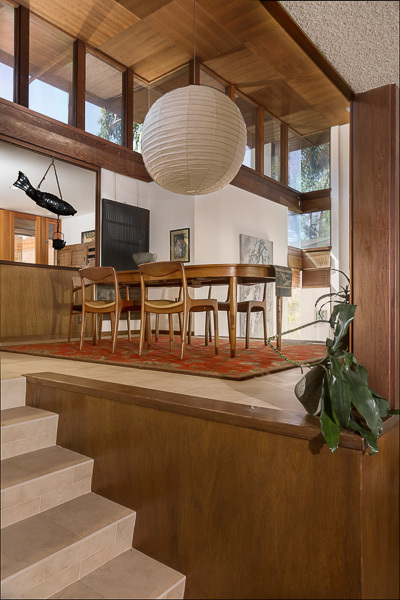 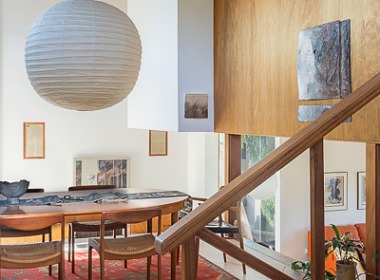 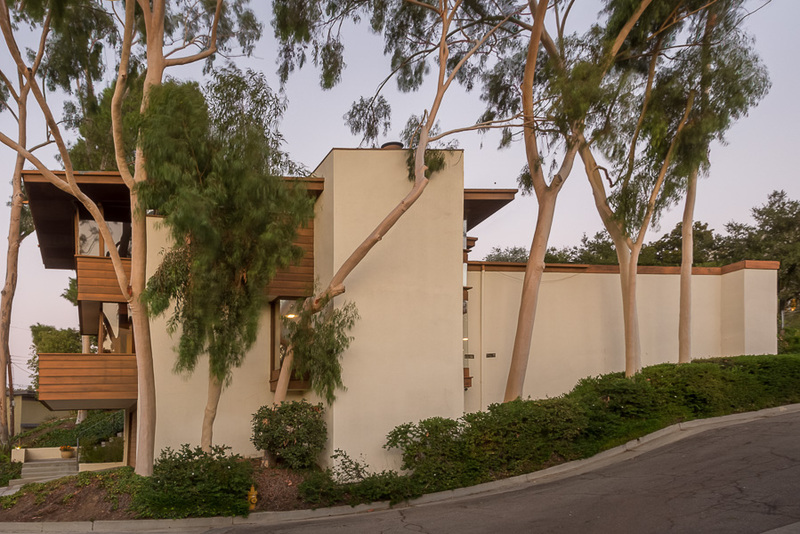 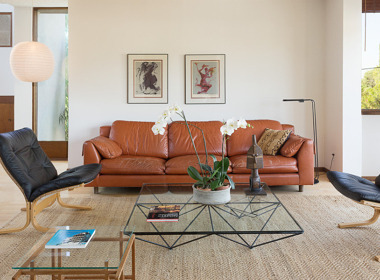 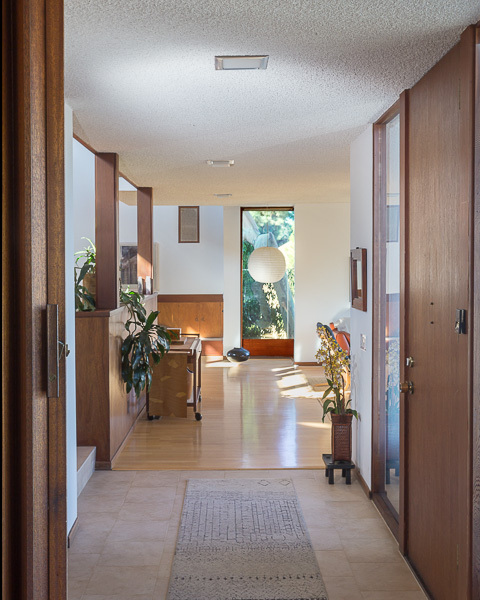 At the Spanner Residence (1968) mid-century master architect Rex Lotery, FAIA developed a solution in which light and space are gloriously one. 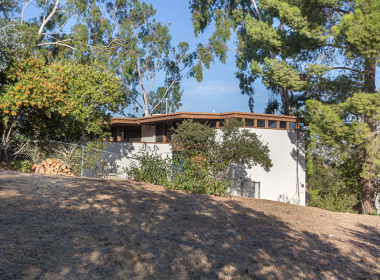 Completely unlike Lotery’s sprawling one-story Trousdale designs, here a vertical 2-story exterior suggests a conventional division into ground-floor public spaces and walled-off upper sleeping floor. 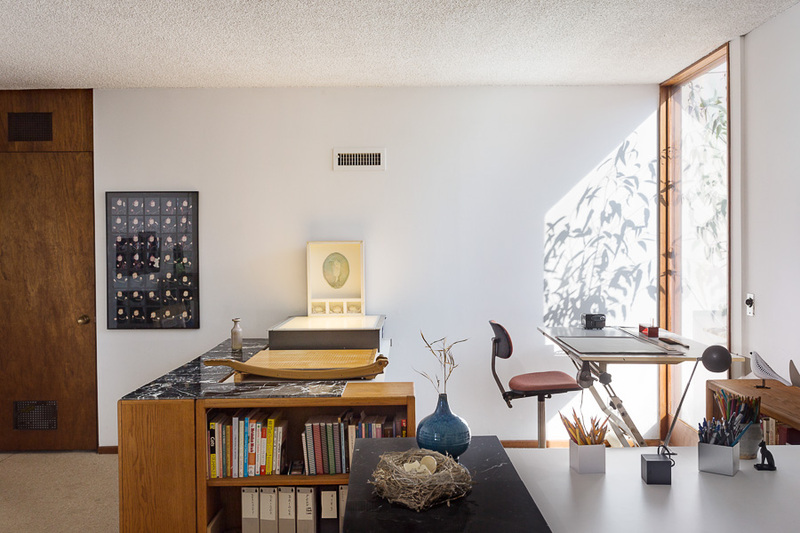 At entry the visitor discovers instead a series of interlocking volumes and spaces on multiple levels unfolding as one progresses from one to the next. 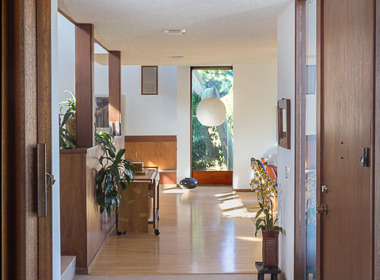 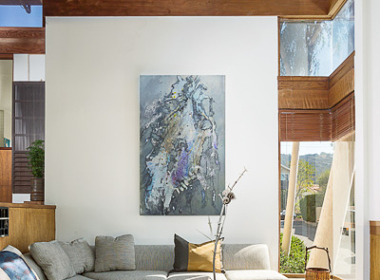 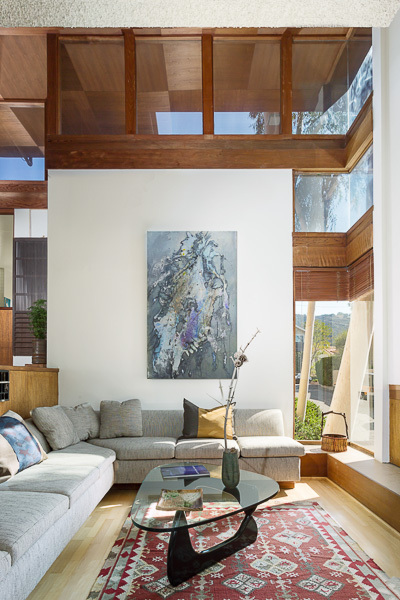 Light suffuses all, from mitered corner windows and high clerestories. 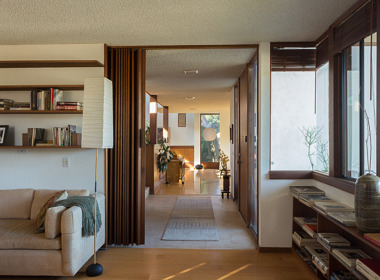 Yet each space is clearly and functionally defined. 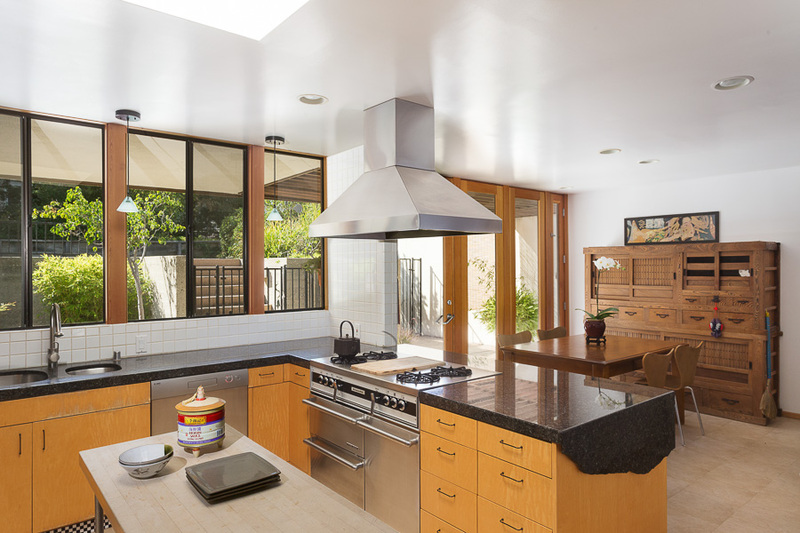 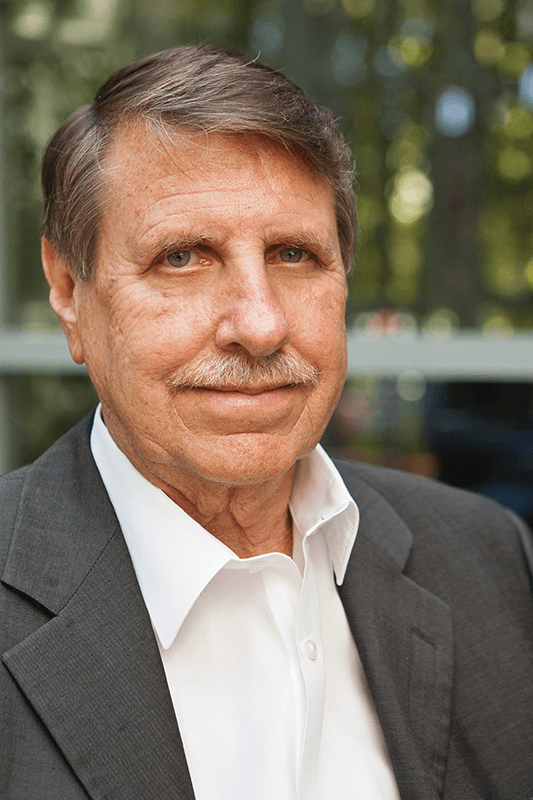 Patios, pool and plantings expand living space outside. 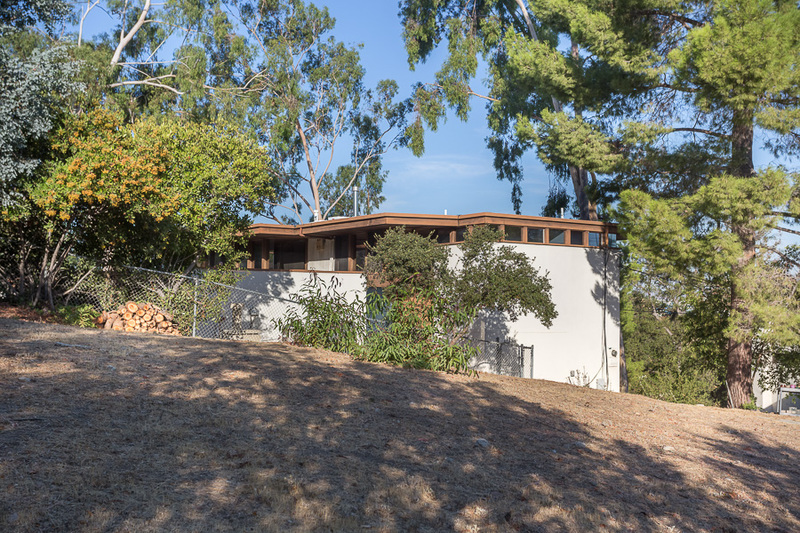 The included, adjacent empty lot could become a spectacular play yard or garden. 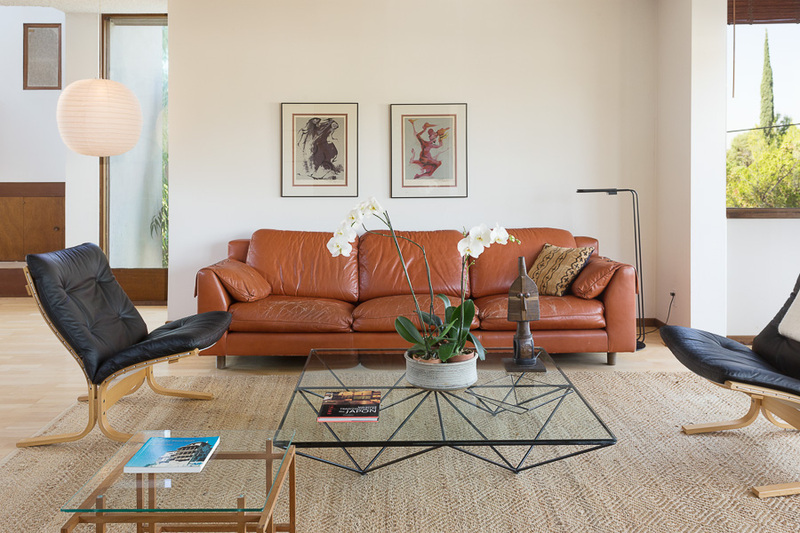 2-car garage with shop, dark room & wine cellar, 3 bedrooms, ground-floor library with full bath and a large studio-office complete a program as ingenious as it is attractive.